Before We Get into TDS Meters & Testers, What the Heck Is TDS? TDS, when it comes to measuring water quality, stands for “Total Dissolved Solids” and refers to the total weight of organic and inorganic solids dissolved in a certain volume of water. There are also solids that don't qualify as TDS because they don't dissolve in water but get suspended inside it instead, like wood pulp for example. Scientists call these tiny particles TSS or “Total Suspended Solids,” but that's a subject for a different article. How Do You Measure TDS? The only way to measure TDS with 100% accuracy is to evaporate all of the water and measure how much solid stuff is left. Scientists call this “gravimetric analysis,” but it takes far too long for everyday purposes and is almost as boring to watch as The English Patient. This means that all water, except for absolutely pure, particle-free water, has some amount of conductivity, thanks to the TDS swimming around in there. This electrical conductivity or EC (yes, we love our acronyms around here) can be measured by passing an electrical current through the water. That EC number can then be used to estimate the amount of TDS in the water. While this method is not quite as accurate as the boring evaporation way, it's close enough to provide a good snapshot of the quality of your water. Plus, it's much quicker and easier. Is This Where TDS Meters Come in? Yep. And TDS testers as well. Like Superman and Clark Kent, TDS meters and TDS testers are the same thing with a different name. TDS meters/testers function like an ohmmeter by zapping a tiny current through the water, measuring the voltage, and then calculating the EC. That EC amount is then multiplied by a number between 0.50 and 1.00 (depending on the types of TDS) to come up with the TDS level. How's that for some science at work? So, What's a Good TDS Level? And a Bad One? Depending on the PPM number your TDS meter spits out, you would then know whether you can sit back and relax with an ice-cold glass of water, or rush outside and dig a well in your backyard. Or buy bottled water at Costco, which might be a bit easier. Why Should You Test the TDS in Your Water? The first two reasons listed below are pretty obvious, but you may find the rest of the list a bit surprising. No peeking ahead! Health: Higher TDS levels are usually the result of non-toxic substances such as potassium, chlorides, and sodium. But there may also be toxic ions present, including arsenic, cadmium, and nitrates. And hey, even if the particles aren't poisonous, you still don't want a lot of them in the water you drink. Taste: While a small amount of TDS can improve the taste of water, too many of them, or the wrong kinds, can make water taste salty, bitter, or metallic. If we want to drink weak-tasting liquid, we'll stick with diet soda! Filter Efficiency: Testing your water with a TDS meter can let you know if your filter is working properly or not. Filters certainly aren't going to tell you when they need to be replaced. Special note: Hard water doesn't necessarily have high TDS levels. Water softeners replace the magnesium and calcium ions that cause hard water with sodium or potassium ions. The resulting soft water could have even more TDS than the hard water did. Crazy, huh? Aquaculture: The TDS level of the water in an aquarium should stay constant and be the same as the original habitat of the fish and sea life living inside. Pools and Spas: Proper maintenance of any pool or hot tub should include continual monitoring of TDS levels. Too much or too little chlorine solution can make your swims uncomfortable or unsanitary. Hydroponics: In case your profession or hobby is growing plants outside of dirt, testing the TDS level of your hydroponic solution is the best measurement of its nutrient concentration. Commercial/Industrial: Testing TDS levels in water may be more critical for a farm-fishing company than, say, an accounting firm, but the above principles are still helpful for many industries out there. How Do You Get TDS Out of Your Water? So, you used your TDS meter/tester and discovered that your water has a higher level than you'd like. Now what? How do you get those invisible TDS out of there? Asking them nicely probably won't work. Carbon filtration: The downside to this method is that it yields only a slight reduction in TDS levels. Deionization: No, this doesn't mean turning someone into Deion Sanders. Instead, it's the process of adding a final polishing filter to a reverse-osmosis filtration system (see below). Distillation: This results in total-particle reduction (sounds like something from Ghostbusters or Star Trek), leaving the water with a flat taste. Reverse Osmosis: This type of filtration achieves near-total TDS elimination, but leaves just enough to give the water a nice taste. 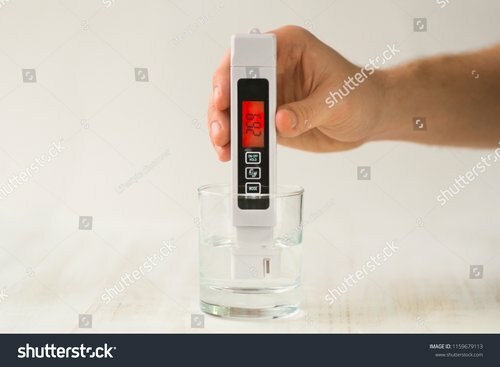 So, now that you're armed with more knowledge about TDS than you ever thought you'd have, we at WaterZen encourage you to purchase a TDS meter and test your drinking water. For more info on TDS meters/testers, click here. At the very least, you can talk about TDS, EC, and PPM at a dinner party and sound like the smartest person in the room. You're welcome!